In this second feature of the #Prizes in Philosophy Series, we look at the eminent Nobel Peace Prize — a USD 1 000 000 (EUR 1 500 000) prize established by the terms of the will of engineer Dr. Alfred Bernhard Nobel. The will was drawn on November 27th, 1895 and has been managed since his passing on December 10th 1896 by the Nobel Foundation created in 1900. 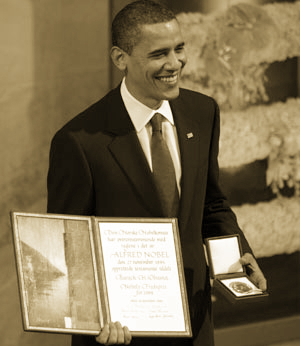 The Nobel Peace Prize is granted to suitable candidate(s) that have “done the most to promote peace”. It is also granted without considerations of nationality. Nominations for the prize are kept in utmost secrecy and confidence for 50 years. Here is a short passage from Alfred Bernhard Nobel’s will describing the five prizes and in particular the Peace Prize. Click here for digitized images and text of Alfred Nobel’s Will. 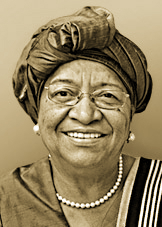 The following is a list of recent Nobel Peace Laureates. We will be here at Integrating Horizons reviewing the life work of the following and upcoming Nobel Peace Laureates, along with the World Summit of Nobel Peace Laureates. – Present and past members of the Nobel Committee and the advisers at the Nobel Institute. 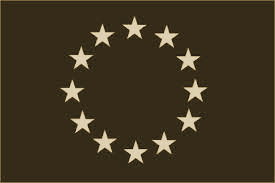 – Members of national assemblies and governments, and members of the Inter-Parliamentary Union. – Members of the Permanent Court of Arbitration and the International Court of Justice at the Hague. – Members of the Commission of the Permanent International Peace Bureau. – Members of the Institut de Droit International. – Present university professors of law, political science, history and philosophy. – Holders of the Nobel Peace Prize. The Committee begins the preparatory stages of selection in early September. Nominations must be received no later post-marked February 1st, after which an assessment of the nominees and their work begin and continue until the fall. 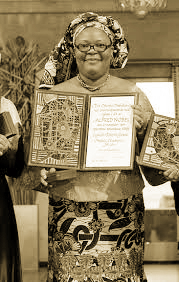 The laureate’s name is usually announced on a Friday, mid-October in the Nobel Institute Building, Oslo. The prize is awarded on the 10th of each December — the day Alfred Nobel passed away in 1896. 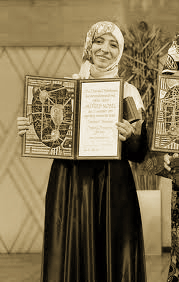 Since 1990, the award ceremony has taken place at the Oslo City Hall where the recipient is presented with a diploma, medal, and where later in the day a banquet is hosted by the Nobel Committee, and as a rule where the Laureate delivers a Nobel Lecture on which he/she has received the distinction. 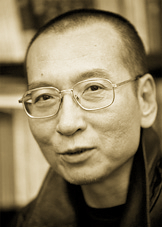 The lecture and an account of the ceremony is recorded in the Les Prix Nobel and website of the Norwegian Nobel Institute. 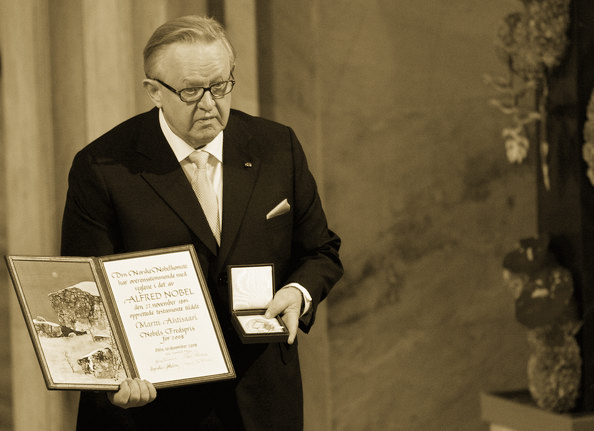 The Nobel Peace Prize – which consists of the medal, the diploma and prize grant of USD 1 000 000 – are presented to the recipient at the award ceremony in Stockholm by the Chairman of the Norwegian Nobel Committee in the presence of the King of Norway and other invited attendees. 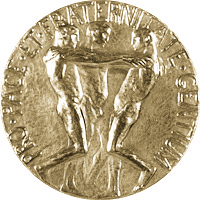 The medal is originally designed by the Norwegian sculptor Gustav Vigeland. 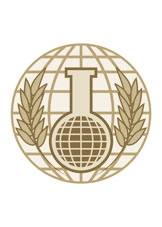 The dies for the Peace Medal were produced by medal engraver Erik Lindberg. Between 1902-2010, the Nobel medals were cast by the Myntverket (the Royal Mint) in Eskilstuna, Sweden. However, in 2011 they were cast by Det Norske Myntverket (Mint of Norway) in Kongsberg, Norway. Since 2012, the medals are now casted by Svenska Medalj in Eskilstuna, Sweden. The design varies by the institutions that casts the prize. 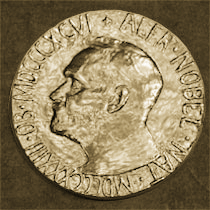 While the face of Nobel on the Nobel Peace medal has a different design than the medal for the Economics Prize, the inscription also on all of the “Swedish” medals are “Inventas vitam juvat excoluisse per artes”. The Peace Medal has the inscription “Pro pace et fraternitate gentium” (“”For the peace and brotherhood of men”). The medal features on the back a group of persons forming a “fraternal” bond. In the edge of the medal is the inscription “Prix Nobel de la Paix” along with the year and the name of Laureate. Click here for information on the diplomas.